Nonstick deep pan large capacity version of "Splendid" is a special edition for the professional user. Nonstick coated with "New Expert Pro" 5 layer durable Thermo Spot temperature measurement points. Help distribute the heat. Ideal for restaurants, hotels, fried egg, fried food, fried Spartak Getty fried food or not cooking with oil. To your good health. Thermospot technology: the red circle in the middle is all red . Proper cooking temperature . Healthy food because it does not soak up the oil if the pan is not hot enough. Preserving pans . Due to the hot temperatures. Do not set fire to the long dormant. The surface coating wear faster . New Expert Non-stick coating: 5 layers nonstick coating durability. Resist base Technology: Pan with star structure at base, equipped with the copper heat for quickly and evenly heat transfer. Health Environment: No PFOA, No Lead, No Cadmium, Recycle product. The pan is made of durable 2mm thick aluminum grip handle for convenient heating curve fitting handedness . 28 cm deep pan is a smallest size one suitable for egg frying and general cooking, both dry and soup. 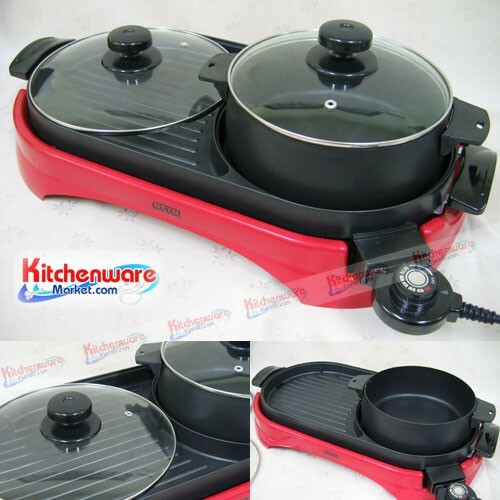 Compatible with all types of stove, except induction cooker . Type gooseberry dessert bundle Smith.